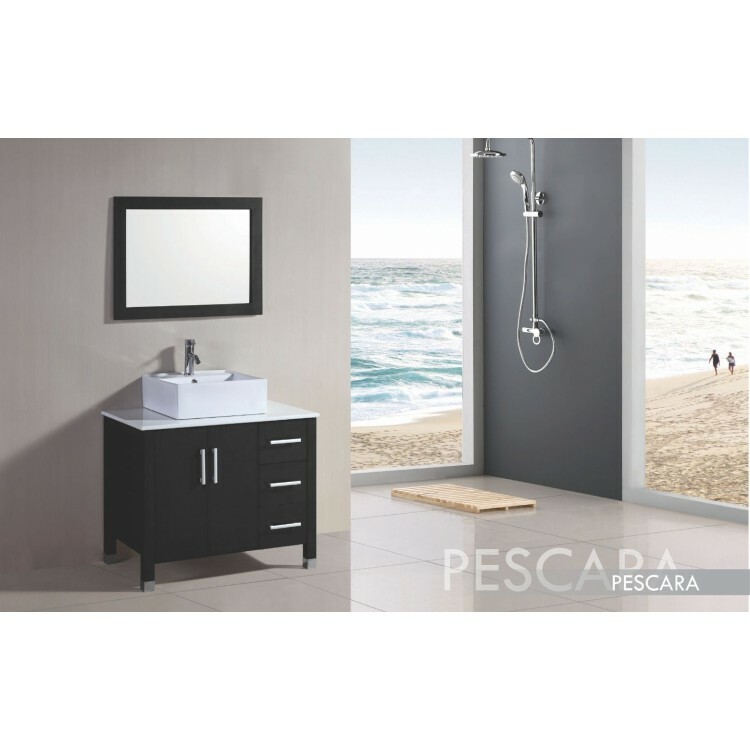 Product Code: Pescara Espresso 36"
Solid wood cabinet with one ceramic basin and phoenix stone top. Mirror included. Mirror size 31"W x 24"H.